Keita Muramatsu, President and Chief Executive at Honda Motorcycles and Scooters India (HMSI), on 14 December said that the company will roll out the refreshed models of its existing product line-up in the country next year and will launch one product every month. 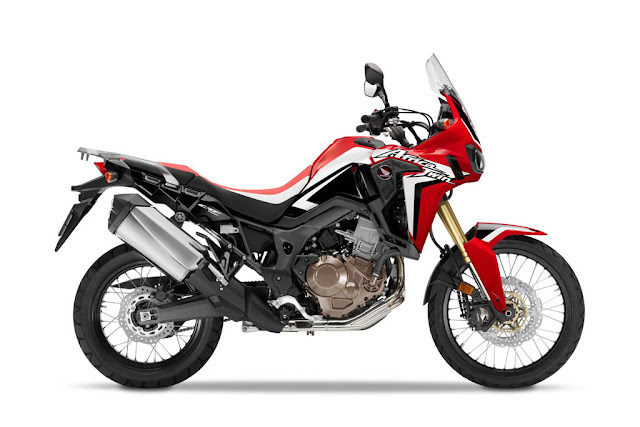 The Japanese company is reportedly planning to launch many popular models from its international line-up and one among them will be the CRF1000L Africa Twin adventure tourer. The India launch has been scheduled at the Auto Expo 2016, reports evo India. The Africa Twin caters to the adventure motorcycle segment that is the domain of Triumph Tiger series and Suzuki V-Storm 1000. The segment is for the adventure motorcyclists who prefer lightweight frame for off-road performance, touring comfort and agile handling for everyday use. The Africa Twin is powered by a 998cc, parallel twin liquid-cooled engine with 270 degree crank and uni-cam. The engine develops 94bhp at 7,500rpm and 98Nm of torque at 6,000rpm mated to either a six-speed manual transmission or/and a six-speed DCT with on/off-road riding modes. The Africa Twin will feature Honda Selectable Torque Control(HSTC), which offers the rider three levels of control and on/off ABS to the rear wheel. Both the features will not be available on the base model, but they are standard on the DCT version. The motorcycle measures 2,335mm in length, 875mm in width and 1,475mm in height for the base model. The motorcycle comes with 1,575mm wheelbase, 250mm ground clearance and weight starts at 208kg. All these figures are spot on for the adventure motorcycle segment. Other off-road friendly bits include the tyre, which is 21 inch up front and 18 inch at the rear and the 18.8-litre fuel tank gives the Africa Twin a range close to 400km.